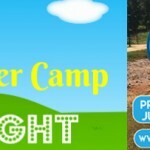 HomeFront Page PostsBotanical Garden of the Ozarks Summer Camps for little and big kids! 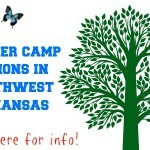 Botanical Garden of the Ozarks Summer Camps for little and big kids! 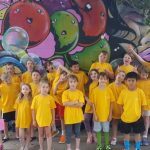 Botanical Garden of the Ozarks is hosting two summer camps this year, Explore@BGO and Little Sprouts. 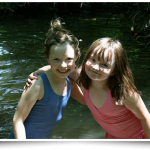 Explore@BGO is a mini-day camp for children ages 6 to 11, and engages kids in activities and lessons that teach appreciation for the environment, encourage interaction with the natural world, and satisfy children’s natural curiosities about the outdoors. This year’s sessions will run from June 11 through July 30th. Each session is on Tuesday mornings from 9:30 am to 12:00 pm. Registration and payment are available at the BGO office, by calling 479.750.2620, or by e-mailing Judy Smith at jsmith@bgozarks.org. The 2013 schedule has a unique theme for each week. June 25 – Bird Walk ~ Bird Fun! For the younger kids, Little Sprouts is a weekly botanically-themed program for preschoolers. Each week the kids hear stories, sing songs, and do fun crafts and activities. Whether they are learning about how bees are more helpful than harmful, or exploring the garden with handmade binoculars, the children leave the garden with a real appreciation for the world around them and a new desire to protect it. BGO has two sessions to accommodate all of the little learners. They meet at 9:30 and 10:15 am on Wednesday mornings May through October. Participants do NOT need to register. Just show up on Wednesday morning! Watch the BGO Facebook page for weather announcements on rainy days. Participants range in age from newborn all the way up to age 5 who haven’t yet started kindergarten. Not only does the program serve the little ones in attendance, but also the adults who bring them. Each week BGO offers a program to families that will leave them with the inspiration to take what they have learned and apply it in their homes. This program is free for the children. Adults accompanying the children are free if they are members or pay regular Garden admission if they are not. 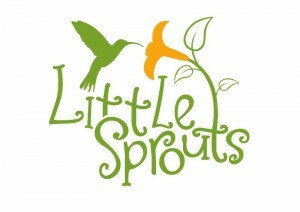 CLICK HERE for the 2013 Little Sprouts topic schedule. NWA’s new Bricks 4 Kidz offers a fun environment for creative play and learning! 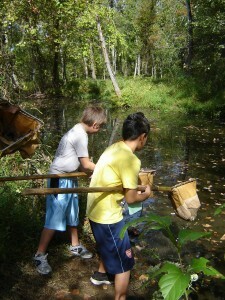 Ozark Natural Science Center offers camp options for nature loving kids and teens! Barbie Cross-Country Experience in Northwest Arkansas this weekend!